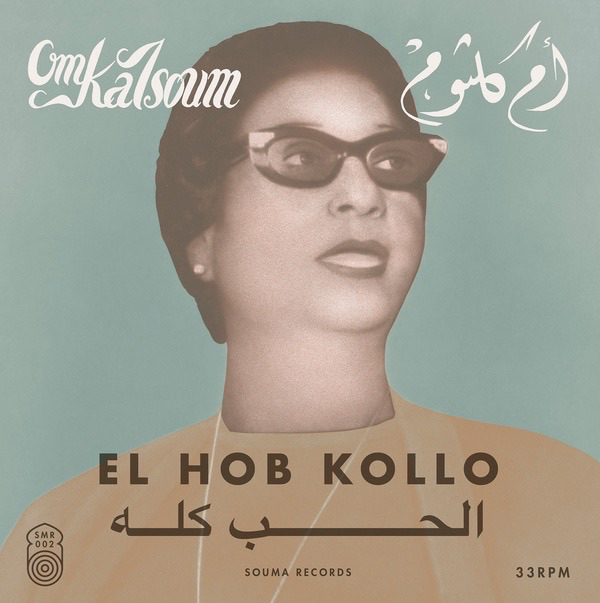 Souma Records present a vinyl reissue of Om Kalsoum's El Hob Kollo, originally released in 1971. They call her "The Rose of the Nile", "The Queen of the Nile", "The Daughter of the Nile", or even "The 4th Pyramid of Egypt" since she's known as the greatest Egyptian singer of all times. Om Kalsoum's mythical life story of a poor peasant girl who grew up to become the face of Egypt is a 20th-century fairytale. At the end of her overwhelming career she was introduced to the young but brilliant composer Baligh Hamdy who wrote this 30-minute lasting monument for her in 1970. In the footsteps of Mohamed Abdel Wahab, the godfather of Egyptian modern music, Baligh Hamdy refreshed the classical Egyptian orchestra sound with the addition of stylish instruments like electric guitar (Omer Khorshid), organ (Hany Mehanna), accordion, and horns that were adapted to the eastern tonal system. 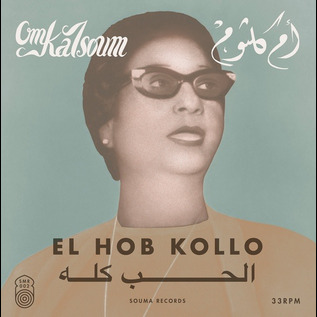 Together with the immortal Alf Leila We Leila (SMR 001LP), El Hob Kollo must undeniably be archived under the best recordings ever made in music history. Essential.